The last three months have been incredible for offspring of the late Maria's Mon. 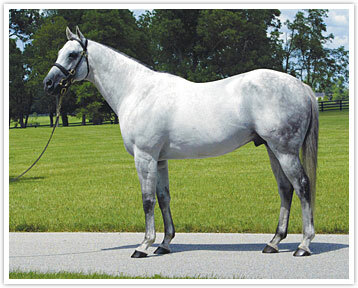 Sire of two Kentucky Derby (gr. I) winners in Monarchos (TrueNicks,SRO) (2001) and Super Saver (2010), and 2006 Champion Three-Year-Old filly Wait a While, Maria's Mon died in 2007 at the young age of 14. His final crop includes 100 two-year-olds of 2010. 5/15 Hudson Landing Shotiche A 1st Alcatraz S.
5/29 Exhi Polish Numbers A 1st Marine S.
6/18 Gorgeous Goomah Cryptoclearance D 3rd Chantilly S.
6/27 Exhi Polish Numbers A 1st Victoria Park S.
7/10 Perfectus Deputy Minister A 3rd James B. Moseley Sprint S.
7/11 Izshelegal A.P. Indy A++ 2nd Landaluce S.